Located at Steamer Lane, Santa Cruz, CA, the event is the longest-running longboard contest in existence, in addition to being one of the largest. 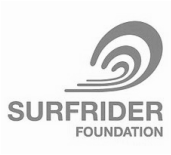 It's also a benefit for several local charities, including the Junior Lifeguard Program, Ride-A-Wave, Jacob's Heart Children's Cancer Association and the Santa Cruz Surfing Museum. The contest is located in Santa Cruz, California at Steamer Lane.